The tambourine is a musical instrument in the percussion family consisting of a frame, often of wood or plastic, with pairs of small metal jingles, called “zils”. Classically the term tambourine denotes an instrument with a drumhead, though some variants may not have a head at all. Tambourines are often used with regular percussion sets. They can be mounted, but position is largely down to preference. The word tambourine finds its origins in French tambourin, which referred to a long narrow drum used in Provence, the word being a diminutive of tambour “drum,” altered by influence of Arabic tunbur “drum”. from the Middle Persian word tambur “lute, drum”. The tambourine can be held in the hand or mounted on a stand, and can be played in numerous ways, from stroking or shaking the jingles to striking it sharply with the hand or a stick or using the tambourine to strike the leg or hip. There are several ways to achieve a tambourine roll. The easiest method is to rapidly rotate the hand holding the tambourine back and forth, pivoting at the wrist. An advanced playing technique is known as the thumb roll. The finger or thumb is moved over the skin or rim of the tambourine, producing a fast roll from the jingles on the instrument. This takes more skill and experience to master. The thumb or middle finger of the hand not holding the tambourine is run around the head of the instrument approximately one centimeter from the rim with some pressure applied. If performed correctly, the thumb should bounce along the head rapidly, producing the roll. Usually, the end of the roll is articulated using the heel of the hand or another finger. Today the thumb roll is performed with the use of wax or resin applied to the outside of the drum head. This resin allows the thumb or finger to bounce more rapidly and forcefully across the head producing an even sound. A continuous roll can be achieved by moving the thumb in a figure of 8 pattern around the head. By lead singers – Freddie Mercury, Mike Love, Jon Anderson, Jim Morrison, Robert Plant, Peter Gabriel, Liam Gallagher, Gene Clark, Ray Thomas, Trent Reznor, Ian Astbury, Stevie Nicks, Roger Daltrey, and Jon Davison have all been known to use a tambourine while singing. By drummers – Drummers such as Larry Mullen Jr. of U2 mount a tambourine above the cymbals of their hi-hat stand; others mount it elsewhere. Tambourines in rock music are most often headless, a ring with jangles but no skin. The Rhythm Tech crescent-shaped tambourine and its derivatives are particularly popular. The original Rhythm Tech tambourine is displayed in the Museum of Modern Art. Jack Ashford’s distinctive tambourine playing was a dominant part of the rhythm section on Motown records. The tambourine was featured prominently in “Green Tambourine”, a busking-oriented song with which The Lemon Pipers, a 1960s musical group, notched a chart selection. Wolfgang Amadeus Mozart was among the earliest western composers to include the tambourine in his compositions. Since the late eighteenth century it has become a more permanent element of the western orchestral percussion section, as exemplified in some of Pyotr Ilyich Tchaikovsky’s dance pieces from The Nutcracker Suite. Originated in Galicia or Portugal, the pandeiro was brought to Brazil by the Portuguese settlers. It is a hand percussion instrument consisting of a single tension-headed drum with jingles in the frame. It is very typical of more traditional Brazilian music. The Basque pandero is a folk instrument currently played along with the diatonic accordion in a duo most of the times. Sometimes the players, who play in festivities to enliven the atmosphere or less frequently at onstage performances, sing along. At times the pandero accompanies the alboka or txistu too. Yet this kind of duos have not always been the case. As attested in 1923, the youth gathered to dance to the rhythm of the bare pandero, with no other music instrument implicated but the player’s (a woman’s) voice. The riq (also spelled riqq or rik) is a type of tambourine used as a traditional instrument in Arabic music. 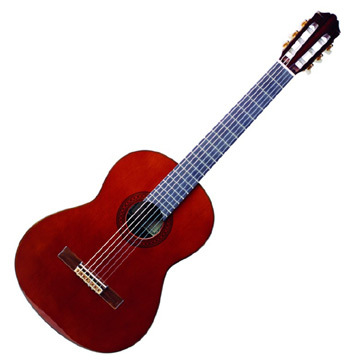 It is an important instrument in both folk and classical music throughout the Arabic-speaking world. Widely known as “Shakers”. A traditional Central Asian musician from the 1860s or 1870s, holding up his dayereh. A dayereh (or doyra, dojra, dajre, doira, daire) is a medium-sized frame drum with jingles used to accompany both popular and classical music in Iran (Persia), the Balkans, and many central Asian countries such as Tajikistan and Uzbekistan. It is a percussion instrument, and is something intermediate between a drum and a tambourine. An Iranian woman playing a frame drum, from a painting on the walls of Chehel Sotoun palace, Isfahan, 17th century, Iran. 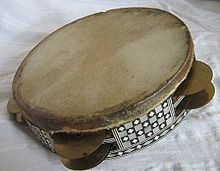 A common use of tambourine (Daf) is by Albanians. They are often played by women and bridesmaids in wedding cases to lead the ceremony when bride walks down the aisle. The kanjira or ganjira is a South Indian frame drum of the tambourine family. It is mostly used in Carnatic music concerts (South Indian classical music) as a supporting instrument for the mridangam. Deff – Tambourine, Palestine, picture p. 579 in W. M. Thomson: The Land and the Book; or Biblical Illustrations Drawn from the Manners and Customs, the Scenes and Scenery of the Holy Land. Vol. II. New York, 1859. Timbrel or tabret (the tof of the ancient Hebrews, the deff of Islam, the adufe of the Moors of Spain), the principal musical instrument of percussion of the Israelites, similar to the modern tambourine. A Rabana (plural Raban) is a one-sided traditional tambourine played with the hands, used in Sri Lanka. Rebana is a Malay tambourine that is used in Islamic devotional music in Southeast Asia, particularly in Indonesia, Malaysia, Brunei, and Singapore.